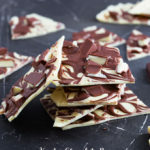 This three ingredient chocolate bark marries together white chocolate, milk chocolate and glorious Kinder Chocolate Bars to create a simple and fun dessert! Happy Thursday! How is this week nearly over already? I can’t believe how quickly the weeks are flying by. I’m going to start with some news; it may come across completely random if you don’t follow me on Instagram, but if you do, you’ll know that I’m obsessed with makeup and skincare and have been for years. I’ve been toying with starting either a blog or YouTube channel for weeks now as currently I only share beauty on my IG stories. My husband was more into the YouTube route, but I hate the sound of my voice and can’t stand being in front of the camera, so I made an exciting decision over the last week; I’m going to start sharing some beauty posts on this blog. 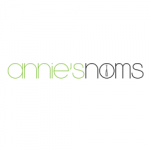 If you just want to come here for the recipes, that’s great, but if you also love makeup then I hope you’ll enjoy my new posts! I’m not talking Instagram beauty, I’m talking real girl beauty for the kind of people who want every day products and skincare that works. Beauty isn’t going to take over the blog, it’s going to be as well as the recipes, but I’m super excited to share my other passion with you! Food, makeup and skincare. All I need haha! 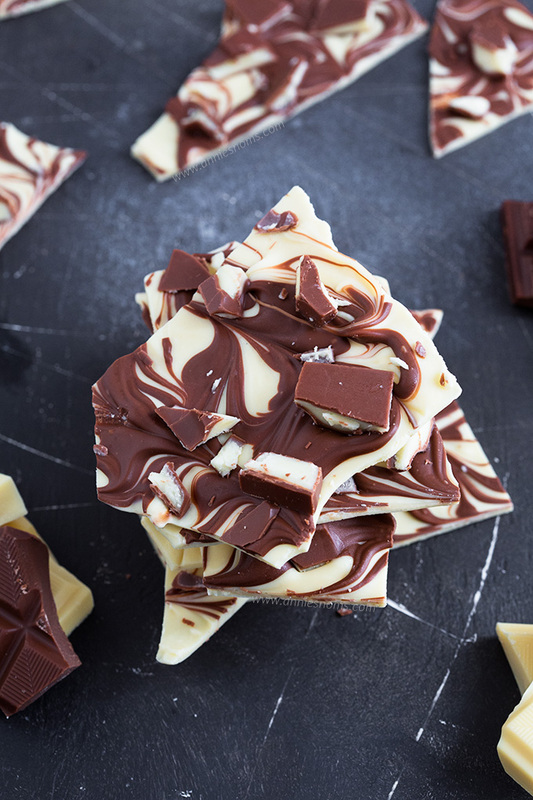 Anyway, shall we talk about this Kinder Chocolate Bar Bark? 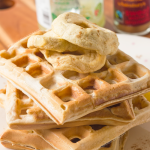 It’s only got three ingredients and enables the kids to get involved in the kitchen. I have tried many different types of chocolate… but I keep coming back to a good old Kinder Chocolate Bar. I know you could argue they’re not proper chocolate and believe me, I will definitely eat a “real” chocolate bar, but Kinder bars taste different, they’re just insanely delicious and I could polish off a whole bar every day if my hips would allow it. 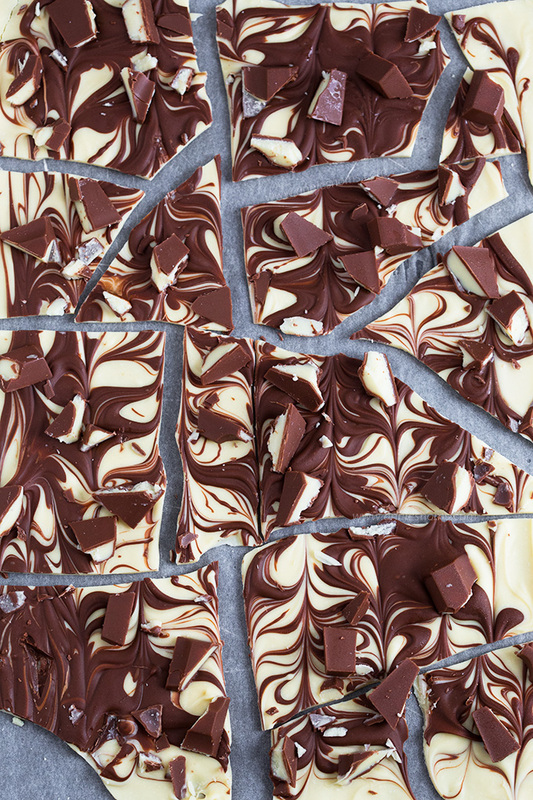 For this bark, I melted 12oz of white chocolate, then swirled 3oz of milk chocolate into it. I chopped up the Kinder bars and then sprinkled them over the melted chocolate. Pop it in the fridge, wait a few hours, break it into pieces and devour. 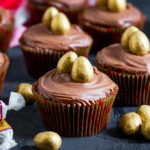 This would also make a great edible gift for Easter; I love a homemade (edible) gift as it’s the thought that counts with gifts, not how much money you can throw at it. 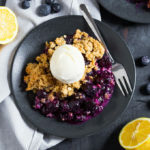 I hope you enjoy this bark and I can’t wait to get started sharing both desserts and beauty with you! 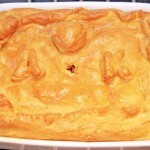 Place a sheet of grease proof paper on a baking tray and leave to one side. Place the white chocolate in a large heat proof bowl and microwave in 20 second increments, stirring in between each increment, until melted. Alternatively, you can place the bowl over a simmering sauce pan of water and stir until melted. Place the milk chocolate into a small heat proof bowl and repeat the steps above to melt. Once all the chocolate is melted, pour the white chocolate onto your lined baking tray and spread into an even layer with a small spatula. Mine was around 2cm thick. Spoon the milk chocolate randomly over the white chocolate, if there are blobs and then bits which are drizzled it’s fine, the more random the better! Take a skewer and swirl the chocolate together, I went up and down and then across, don’t swirl too much otherwise it will become a mess; you still want to see lines of where the milk and white chocolate swirl together. Chop up the Kinder Chocolate Bars and sprinkle over the melted chocolate. Place in the fridge for 3 hours, break or slice into 10-12 pieces and enjoy. Kinder Chocolate Bar Bark will keep in an airtight container at room temperature for 4 days. 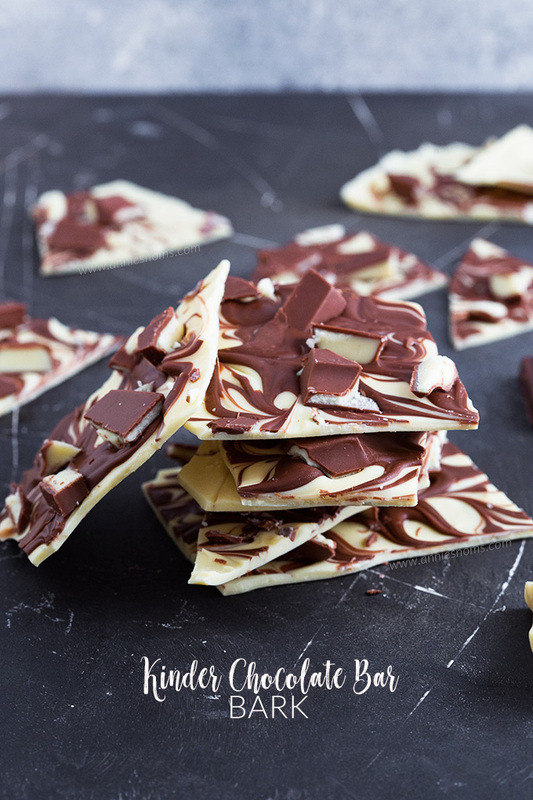 I love chocolate bark, you make this look so easy. What a fun project I can do with my daughter. I will do milk/white chocolate for her and dark/white for me. Of course she will love this, and her momma too! Oooh it would be lovely with dark chocolate to cut through the sweetness! I will have to try, enjoy! Beautiful! 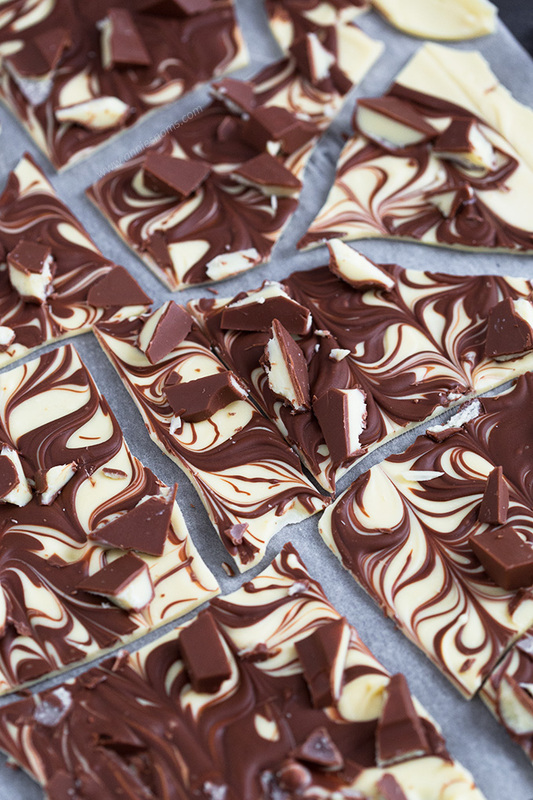 I adore chocolate bark, it’s so addicting, right? Good luck with the new venture! Definitely addictive!! I couldn’t stop eating it as I broke it apart to photograph haha!! Thank you, so excited about it! 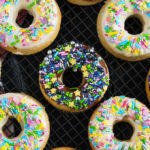 Such an easy tasty treat! My family is going to love this! Good luck with the new direction you are heading!! Thank you! I’m so excited, think I needed something new as I felt I was getting stagnant, now I get to share both of my loves! I love how simple yet delicious this recipe looks. Surely something fun parents can make with their kids. Thanks for sharing! Thank you! It’s amazing how the simplest recipes often turn out to be super delicious! 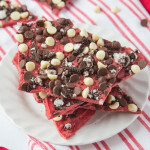 This chocolate bark looks to die for! I love chocolate and so does my family. I will save this to make a later date. I really hope you get to make it, it’s simple but so satisfying!